Spring Summer has finally arrived in DC. Exactly two weeks ago yesterday, it was in the 30s and snowing. Snowing. Today, we enjoyed sunny, 80 degree weather. Tomorrow the high will push 90. After an unseasonably cold spring, this warm weather has helped the cherry blossoms come out of hibernation and show us their beautiful blooms. 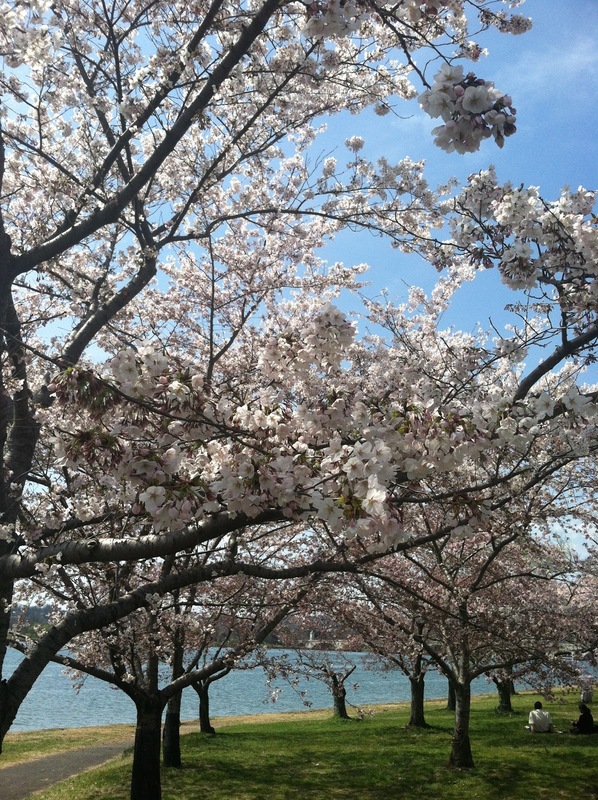 And thank goodness, because cherry blossom season means running season, and the flowers make for such nice scenery. This weekend I once again completed the Cherry Blossom 10-miler, a road race that's part of the annual Cherry Blossom festival. Last year's race was my first long-distance road race, and once I felt the high of crossing the finish line, I was hooked. This year's race was a bit more difficult. 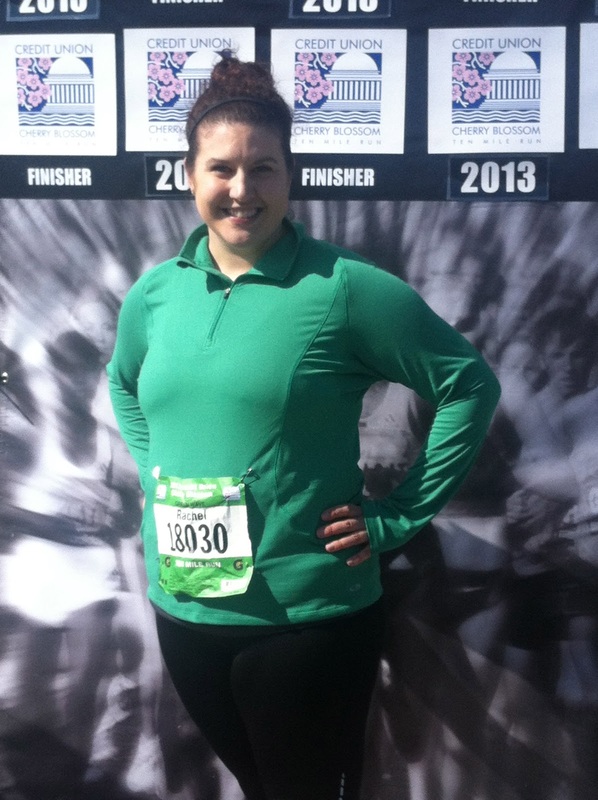 My training went smoothly enough until I came down with a terrible cold about two weeks before the race. During that two weeks, the most I could muster was a 2.5 mile run that did not go very well. Thankfully, my previous training and lots of rest paid off, my lungs and legs cooperated, and I completed the race only minimally slower than last year. My results weren't impressive by any means, but finishing is winning, right?? 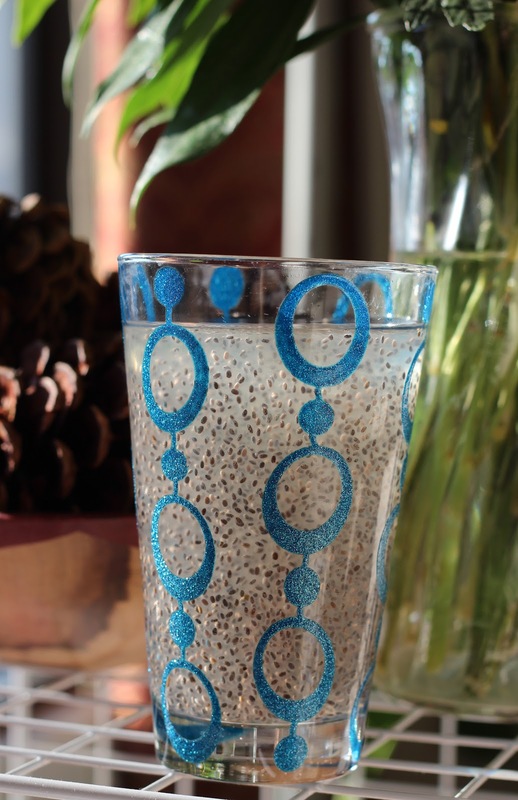 To help keep me healthy and strong during my training, I started making Chia Fresca, a delicious beverage suspended with chia seeds. I first heard about it in "Born to Run" by Christopher McDougall. It's a book explaining the idea that human's bodies are made to run long distances, more so than any other animal. The first hunter-gatherers even hunted their prey by chasing them on foot until they collapsed. To me, there's something so encouraging about this idea. Running long distances may be difficult at first, but it shouldn't be approached as something foreign and strange to our bodies - we were born to do it. And doesn't that take away a lot of the fear and confusion about running? "...a tablespoon of chia is like a smoothie made from salmon, spinach, and human growth hormone. As tiny as those seeds are, they're superpacked with omega-3s, omega-6s, protein, calcium, iron, zinc, fiber, and antioxidants...Chia was once so treasured, the Aztecs used to deliver it to their king in homage. Aztec runners used to chomp chia seeds as they went into battle, and the Hopis fueled themselves on chia during their epic runs from Arizona to the Pacific Ocean." 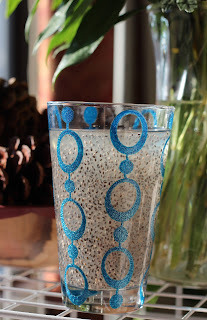 Not only is chia crazily good for you, but it tastes great in Chia Fresca. 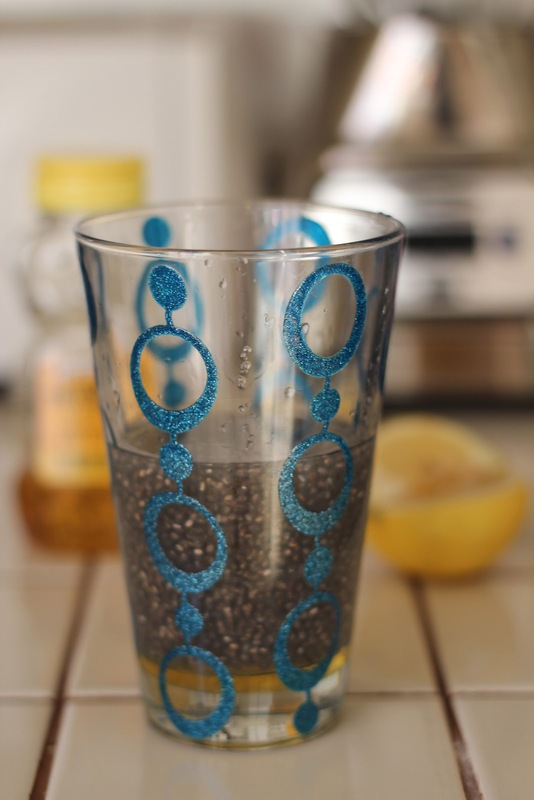 To make it, combine 1 tablespoon chia seeds and 1/4 cup of water in a sealable container. The chia seeds will have soaked up most of the water and a thick gel will have formed. Don't worry about adding too much water - it's totally fine to eyeball it. If there's too much, you'll just have less water to add later, so no big deal. Now take a large glass and squeeze a generous sized slice of lemon or lime into it. Note here that I went a little overboard with the amount of chia seeds in this one. If you really only use one tablespoon of seeds, you'll probably have a little less than what's pictured here. I guess I need to stop being lazy and start measuring! Now stir that baby like crazy. It takes a while for the honey to incorporate itself into the rest of the drink, but it will eventually. Once it's mostly incorporated, fill the rest of the glass up with water (or sparkling water (my personal favorite) or coconut water). Stir it a bit more, and voila! A delicious energy drink (McDougall calls it "home-brewed Red Bull.") So good, and so easy. A couple notes: The chia seeds don't completely dissolve, so it does have a bit of texture. If you're a person who has an issue with texture, this might be weird at first, but give it a try! Also, the seeds might separate after a few minutes, but a quick stir will bring it back together. I've found that this happens less with sparkling water. Maybe we can make these when I visit? 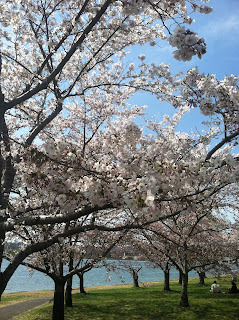 I love cherry blossoms and other seasonal flowers.